Terrorist who attacked NZ mosque will face ‘full force of the law: Ardern - SABC News - Breaking news, special reports, world, business, sport coverage of all South African current events. Africa's news leader. New Zealand Prime Minister Jacinda Ardern speaks to representatives of the Muslim community at Canterbury refugee centre. 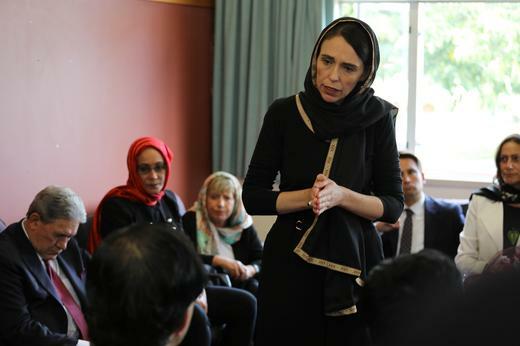 New Zealand Prime Minister Jacinda Ardern promised on Tuesday that the man responsible for last week’s deadly mosque massacres would face “the full force of the law”, as she vowed never to utter his name. Australian Brenton Tarrant, 28, was captured by police and has been charged with one count of murder, but Ardern assured parliament other charges would follow. “He will face the full force of the law in New Zealand,” she said. Ardern has promised reforms to New Zealand gun laws which allowed Tarrant to legally purchase the weapons he used in the attack, including semi-automatic rifles. And she announced a full review of how the Australian — an avowed white supremacist — was able to plan and carry out the attacks in New Zealand under the radar of security services. “The person who committed these acts was not from here. He was not raised here. He did not find his ideology here. But that is not to say that those very same views do not live here,” she said. This entry was posted on 19 Mar 2019,07:02AM at 7:02 AM and is filed under World, Homepage Featured Story Slider. You can follow any responses to this entry through the RSS 2.0 feed. Both comments and pings are currently closed.